Struggling with your day-to-day life due to chronic pain? Has pain from an old injury started to return? Is a recurring ache preventing you from reaching your goals in the gym? No matter the issue or affected body part, this Physio in Elsternwick provides unique diagnosis and treatment solutions will get you out of pain and back to living a pain-free life. Don’t let injury-related pain stop you from enjoying a healthy and active lifestyle. Talk to an experienced and highly-qualified physiotherapist about modern injury treatments and how they help you get back to living your life. Your physio in Elsternwick offers one of the most comprehensive assessment techniques in Australia. Our advanced assessment first checks for the underlying cause of your pain and what triggers it in your day to day activity. Your physio will then perform clinical testing to gauge how you naturally perform your movements. For sustainable results, Physio AUS tailors the right treatment plan for you. Searching for a qualified Elsternwick physio? Conveniently located in the neighbouring suburb of Caulfield South, Physio AUS treats people of all ages and with different goals. Reaching us is easy – our clinic is a mere 5-minute drive away. 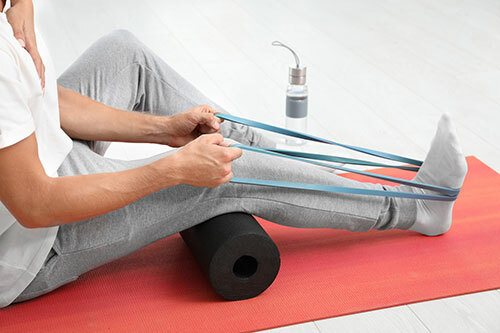 Whether you are an athlete recovering from an injury, a fitness fanatic stuck on the couch instead of in the gym or even an office worker, you need a physiotherapist! Book your first consultation today. If your pain is stopping you from visiting our clinic, arrange an online consultation to solve your pain from anywhere in Australia!